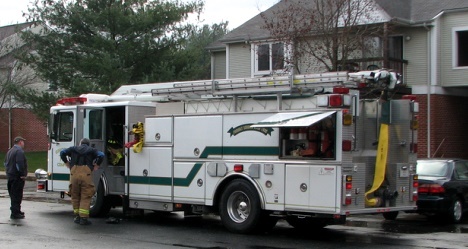 410-222-8200 The Fire Department Communications Division is responsible for receiving emergency Fire, Rescue and Ambulance calls via 9-1-1 as well as non-emergency communications for the department. Trained Emergency Medical Dispatchers provide telephone instructions to callers utilizing medical protocols based on the National Academy of Emergency Medical Dispatch. Emergency units are dispatched and all calls are monitored to their conclusion. Anne Arundel County was the first 9-1-1 systems in the State of Maryland to be Phase II wireless operational. 410-307-2000 The Communications Center (911 Center) is the vital first step in handling emergency calls from citizens for the police and fire departments. 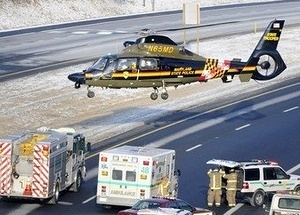 The center is located in Towson, MD and is operational 24 hours a day, 365 days a year. 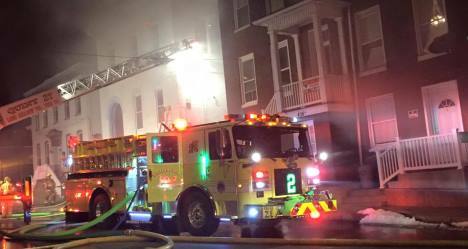 410-396-5684 The city fire department responds to more than 235,000 emergency 911 calls per year. 410-535-1600 Public Safety’s Mission is to proactively ensure the safety of the County residents and visitors to the county by planning, training, equipping and preparing staff to mitigate emergency situations that require 9-1-1 calls, Emergency Operations Center activations, Fire/Rescue/EMS and law enforcement responses, false alarms, and hazardous releases. 410-479-2622 The department provides emergency planning and coordination for county government; Emergency Communications including 911, police communications for the Sheriff's Department and 5 town police departments; fire and rescue communications for 9 Fire/EMS Departments. It also manages the National Crimes Information Computer System for the police agencies. 410-386-2260 The Mission of the Emergency Communications Center is to provide dependable, responsive, & proficient Emergency 911 (E911) services for the citizens of, and visitors to Carroll County, as well as reliable, accurate, & interoperable radio communications to all users of the County's 800 MHz Trunked Radio System (including Emergency Services - Fire/Rescue/EMS & Police). This is accomplished by adequately staffing the Emergency Communications Center (ECC) 24-7 with well-trained personnel, capable of providing persons calling E911 with pre-arrival assistance for incidents requiring Fire/Rescue/EMS, as well as Police response. 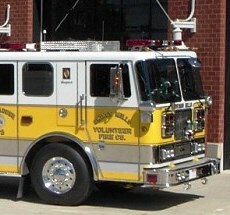 410-996-5350 the center Dispatches 9 volunteer fire & EMS companies, 1 career fire department, career paramedic units, Cecil County Sheriffs Office, Elkton Police Department, North East Police Department, Perryville Police Department, Port Deposit Police Department, Rising Sun Police Department, Department of Public Works, County Roads, and a host of county government agencies as they will or do have access to radios for interoperability purposes. 301-609-3400 coordinates and provides 24-hour-a-day emergency Fire and Emergency Medical Services (EMS) response, emergency communications systems, 911 Addressing, promotion of public awareness regarding proper use of 911 services, including procedures and information required when dialing 911, and emphasis on the importance of posting house numbers to assist Police, Fire and EMS emergency responders. 410-228-2222 The Dorchester County 9-1-1 Emergency Telephone System operates 24 hours a day, 7 days a week and is a fully Enhanced 9-1-1 system. 301-600-1603 The Department is responsible for the dispatch of fire, rescue, and ambulance services, Frederick County Animal Control, and law enforcement including the Frederick County Sheriff's Office, Brunswick City Police, and the Thurmont Police Department. 301-600-1603 The 9-1-1/Fire and Rescue Communications Center is the Public Safety Answering Point (PSAP) for Garrett County. The call-taker/dispatcher receive 9-1-1 calls from the public for assistance for fire, ambulance, and police emergencies. 410-638-4900 Harford County 911 Center is a fully enhanced system offering both the telephone number and location identification associated with the called seeking help. This center covers the entire county including the three incorporated municipalities of Aberdeen, Bel Air and Havre de Grace along with all outlying communities. The center also dispatches calls for service from the Harford County Sheriff's Office and the county's Volunteer Fire and Emergency Medical Service System. 410-313-2200 The Communications Division is a mixture of specially trained call-takers, dispatchers and supervisors who handle all police, fire and emergency medical services (EMS) calls 24 hours a day, seven days a week. The 911 Center handles more than 220,000 calls for service every year, which averages to more than 600 per day. 410-778-7458 As the primary public safety answering point, Kent County Central Alarm answers all calls for help through 9-1-1. 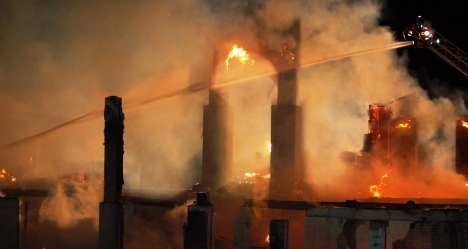 In response to these calls, Emergency Communications Specialists provide dispatch for 7 fire, rescue and emergency medical service companies throughout the county, the Kent County Sheriff's Office, and the Chestertown and Rock Hall Police Departments. 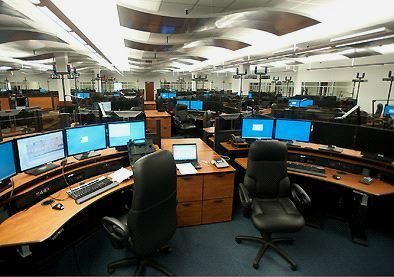 240-683-6520 The Montgomery County, Maryland 9-1-1 Emergency Communications Center (9-1-1 ECC), is a nationally recognized center, the largest in Maryland and one of the 50 largest in the United States. Personnel of the 9-1-1 ECC are the "1st of the First Responders" with whom the public has contact in times of emergency. In 2010 the 9-1-1 ECC received over 870,000 calls for service from the public. Of those calls, 575,000 were emergency calls and 295,000 were non-emergency calls for service. 301-333-4000 The new communication center will dispatch Prince George’s County Fire/EMS units as well as county police and sheriff units. The center will also dispatch 18 of the county’s 23 local police departments, including Mount Rainier, Cheverly and Edmonston police. The center will operate with 70 911 call takers assigned to four primary 12- hour shifts and four 10-hour power shifts along with 52 law enforcement dispatchers and 24 fire/EMS dispatchers assigned to four shifts. 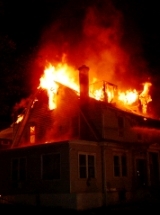 301-475-4200 Direct communications to all major response agencies is capable from one operation for enhancement of coordinated responses to any emergency situation. The 24-hours-per day, 7-days-a-week operation provides continuous emergency and routine communications, dispatch to fire/rescue, sheriff/police, animal control and many other emergency or urgent services. 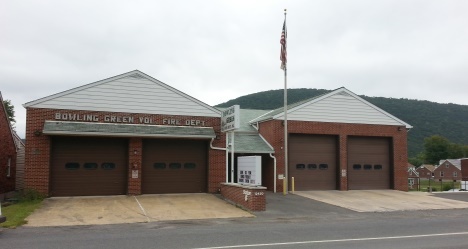 410-651-2633 the Department of Emergency Services which operates and maintains 911 and Emergency Management, "Somerset Central," serving as the county Public Answering Point. Somerset Central is currently staffed by a total of twelve employees which consists of a Director, 1 Supervisor, 9 full time communicators and 1 part time communicator. There are two operators on a shift. They answer an average of thirty 9-1-1 calls a day. 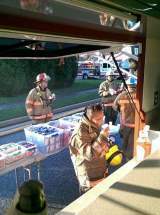 They serve 8 fire companies, 2 EMS companies and 3 Police Agencies. 410-822-0095 the 9-1-1 Center serves as the focal point for all emergency communications. The Center is staffed 24/7 by highly trained civilian personnel. 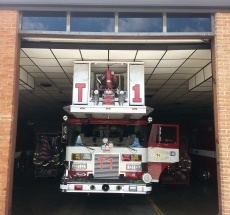 To insure continuous service to the citizens of Talbot County, the agency maintains its own backup generator system, and if needed can relocate operations to a neighboring agency. 240-313-2910 Washington County recently consolidated their emergency communications resources into one department to improve their service to community for fire, ems and police. 410-548-4809 The Communications Division known as "Central" is manned 24hrs a day, 365 days a year. 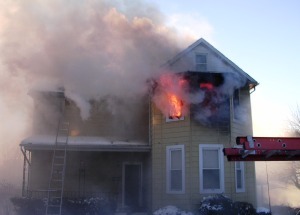 Central houses, maintains and operates the Wicomico County Public Safety Answering Point, better known as 9-1-1. All incoming 911 calls from within Wicomico County and surrounding areas are received at this center. The center receives calls for service for six police agencies within the county, gathers information and transfers the call to the appropriate agency for action. 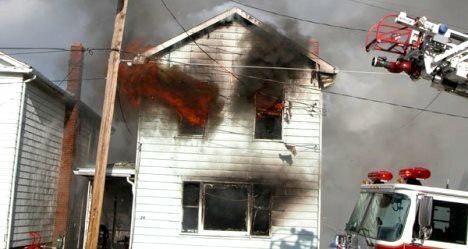 Along with the six police agencies the center also receives and dispatches all fire and medical related calls for fourteen (14) fire companies and 9 ambulance companies. 410-632-1315 The Communications Center receives the 911 calls for the entire county. 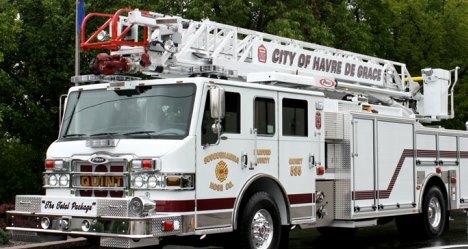 It direct dispatches nine of ten fire companies and six of seven ambulance companies via a county wide radio system and utilizes the State EMS System. The Communications Center dispatches the Worcester County Sheriff's Department. and one local police department full time, (Snow Hill Police) and has the capabilities of dispatching other local police services upon request.